This post is a fun, celebratory look because of two milestones I've hit with my little blog: I now have my own domain name, and my last post pushed me past 5,000 pageviews! I'm so grateful anyone who's taken a look at my experiments here, and especially to my friends and family who've been so supportive. This has become such an important creative outlet for me, driving me to dream and push my limits. But enough sentimentality. 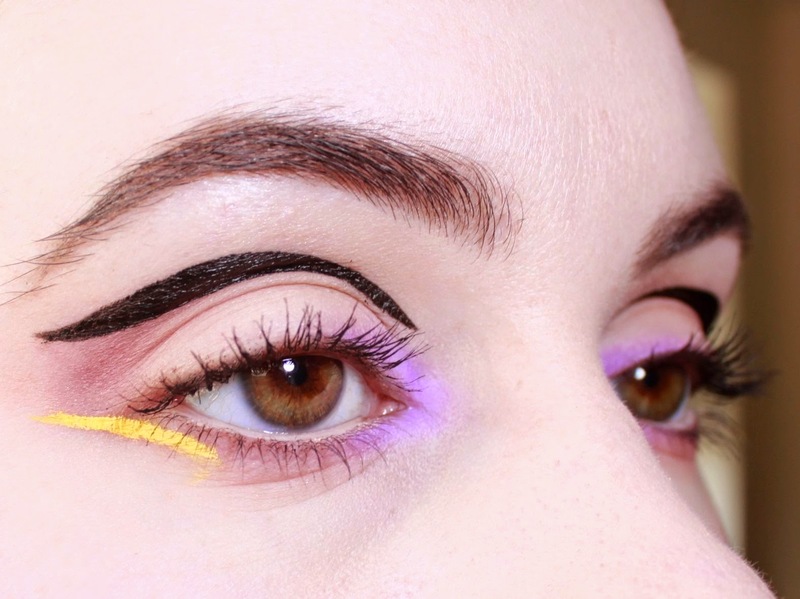 I didn't have a specific source of inspiration for this post; it's really an amalgam of the graphic runway looks that I love looking at, like those from Chanel and Dior, with one of my favorite color combinations (violet and yellow) thrown in for good measure. I'd even say it's a little 80's-flavored with that strong cheek. 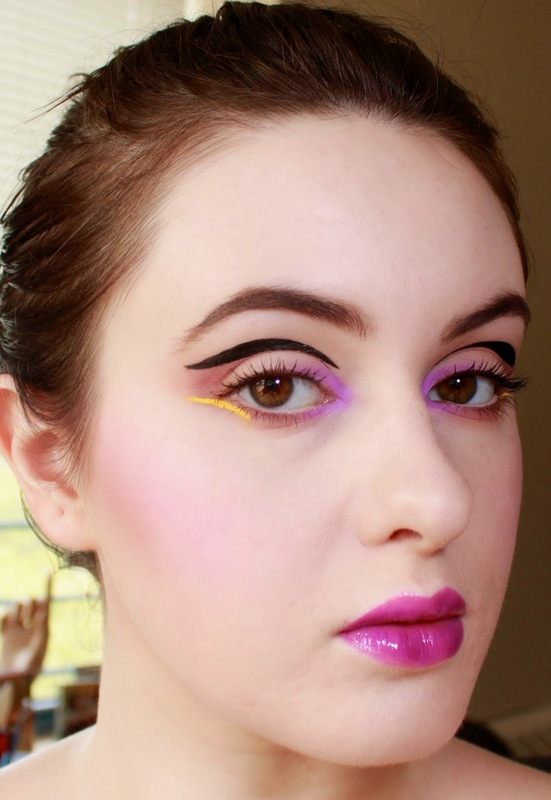 I've been wanting to play with this kind of abstracted cat-eye liner for a while, so I just went for it! Like my last post, I didn't stop to take a photo of each and every step, but below you can find some process photos and notes on the look. I started out with a heavier foundation than I'd wear normally to create a clean canvas from which the graphic lines can really pop. 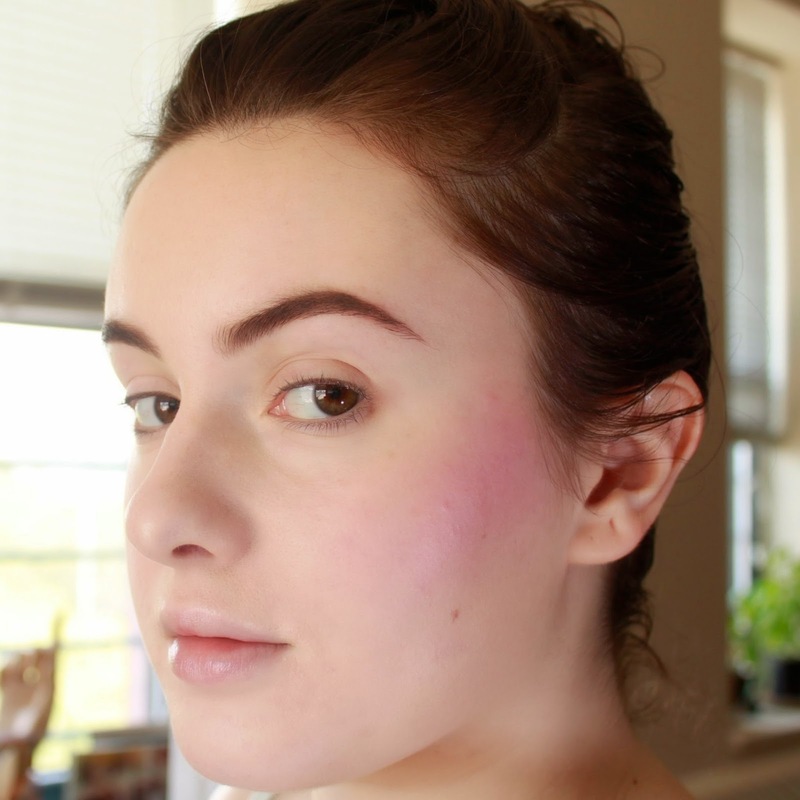 My brows are darkened but naturally shaped, and I've gone quite heavy with a magenta-toned liquid blush from e.l.f. This stuff is basically like beet juice in cream form, so be careful. It stains! I've started on my eyes as I always do: with a good primer and a flesh-toned shadow all over to ease the blending of other shadows. Next, I've applied NYX's Milk pencil on the inner corner to make the violet shadow going on top really sing; and then, I've used mauve and taupe shadows to define the crease and lower lashline. And it's purple time! But then again, when is it not purple time? And here's the eye basically finished except for mascara. 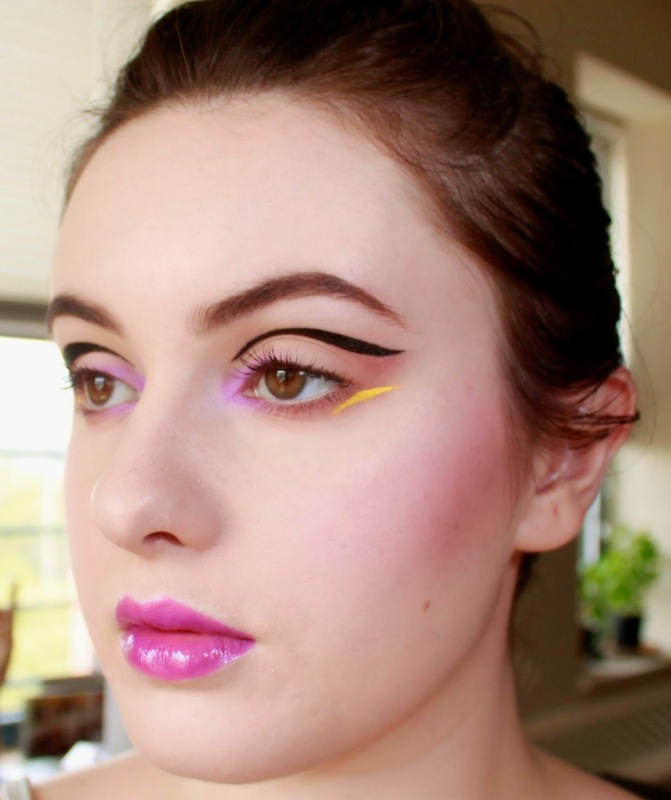 I liked the slim, felt-tip applicator of Maybelline's liner for this; I felt I was able to be really precise in my lines with it. But the black is kind of patchy, and it started to flake and crease before too long. 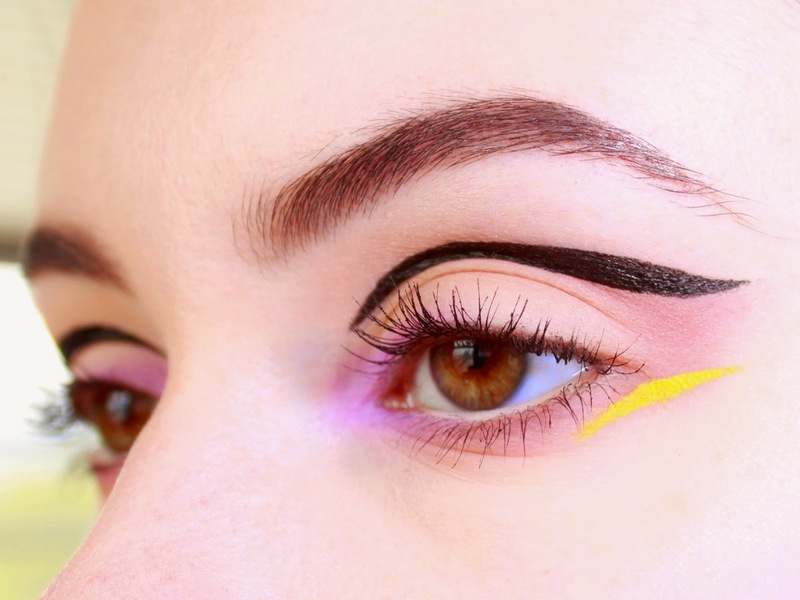 The yellow liner is one of Inglot's super long-wearing AMC Eyeliner Gels applied with a pointed liner brush. And that's about it for eyes! 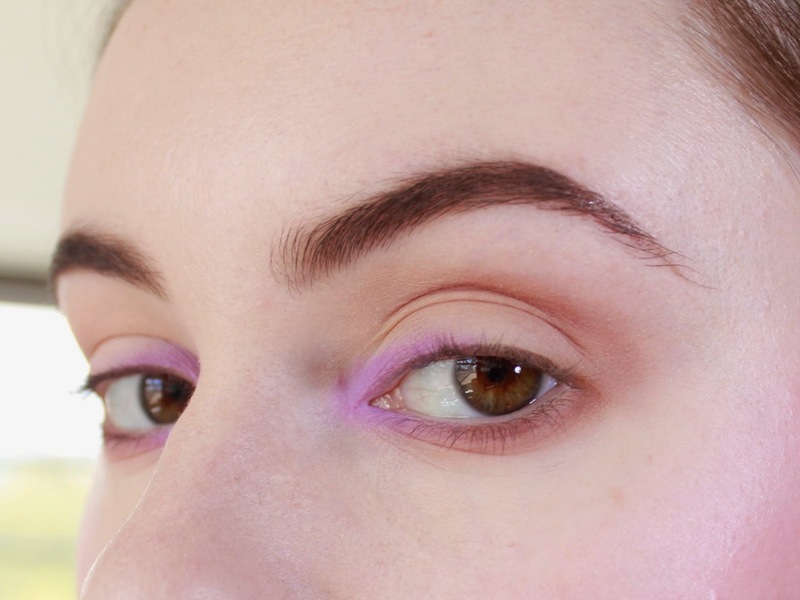 I used Maybelline's Color Elixir in Vision in Violet, which I love. When applied sparingly it can be a very pretty magenta gloss, but when really piled on as I have here, it's a true orchid. 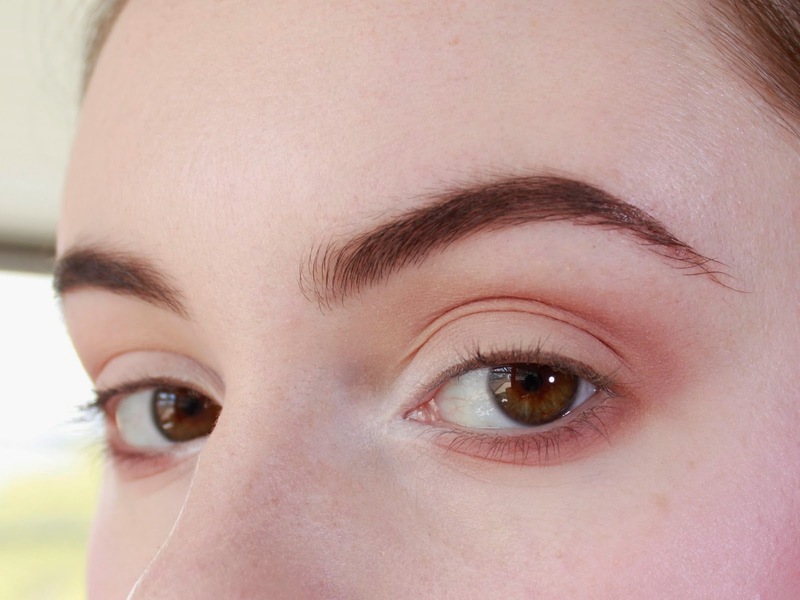 I started to remove my makeup, and realized that I quite liked the subtle stain that the Color Elixir had left, so I offer you two options for this look! One with a vibrant and glossy lip, and another with a natural, magenta-stained lip. Thanks so much for reading, and please comment with anything you'd like to see in future posts! 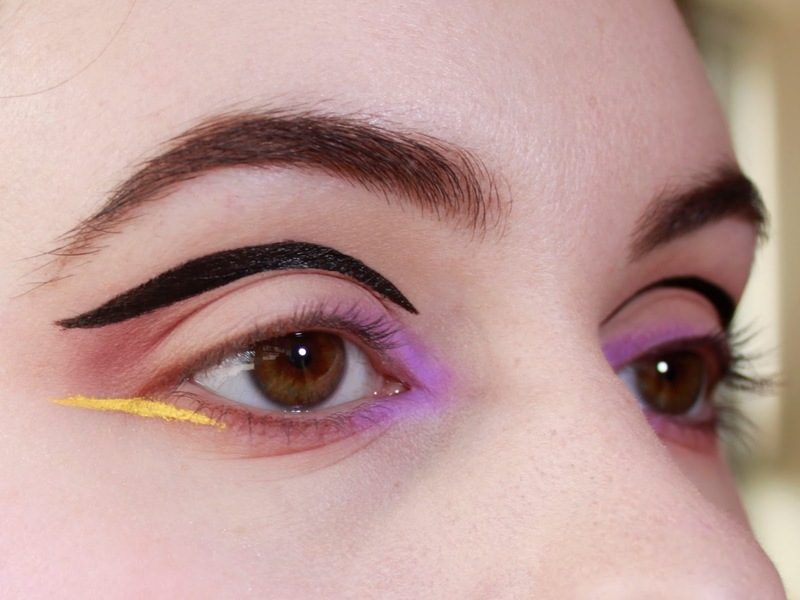 I'd still like to continue with my The Essentials series, perhaps covering winged liner or foundation next, but I'm also having so much fun with these more unusual looks. What do you want to see next? Congratulations on reaching 5000 pageviews! 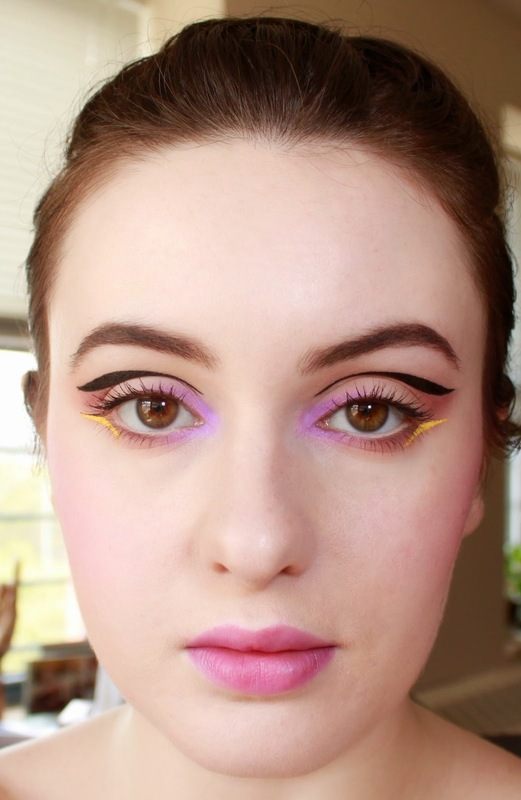 The violet on your inner corner is lovely paired with the yellow. Kind of reminds me of Easter. In regards to what I'd like to see next, I do really love your art-inspired look/experiments like the Rothko look or the Mrs. Robinson look. A swatch post or review on the Inglot liners you own would be really cool? The colours look gorgeous but I've heard conflicting reports on formula consistency among the different shades. Great suggestions, thank you! I also had a friend mention her difficulty with foundations so I'm planning an overview of that for next weekend. But I'll always come back to the artistic looks! They're the most fun. Thanks so much for reading; it really means so much.